I’m ordering parts for my Beverage Air equipment, how do I know I’ll get the right part? At the time of ordering you should provide the manufacturers’ serial number from the unit to ensure you receive the right part. This Beverage-Air 401-633A 3" stem caster with brake works with your Beverage-Air reach in refrigerator or freezer to provide low-profile mobility. 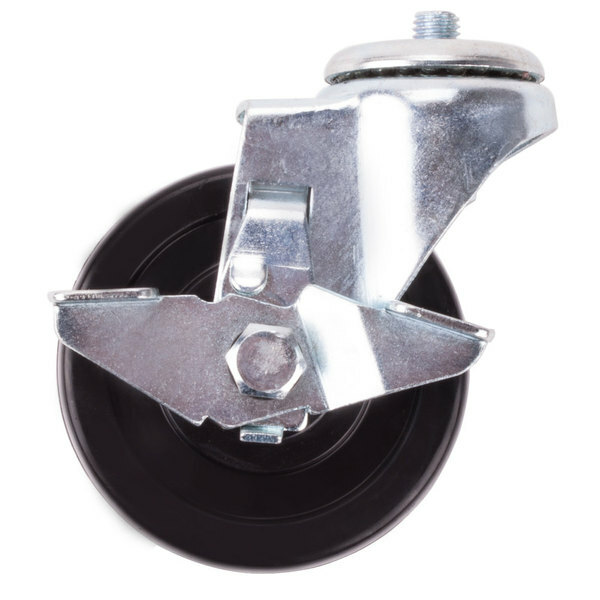 If your application doesn't allow for full size casters or equipment legs, this 3" caster could be the perfect solution. It allows you to move your equipment away from the wall for cleaning and maintenance, but it also gives you a couple of extra inches of clearance at the top to accommodate ventilation needs or a low ceiling.